I’m not a climber, but it doesn’t take an expert to be able to tell that Alex Honnold, the man featured in Free Solo, is operating on a level so far above everyone else. The feats that he has accomplished seem like acts of pure insanity to an every-man like myself. Of course to him they’re not, and I believed it as I watched him climb, he makes it look just about as easy as driving a car, or cooking breakfast. Still, summiting El Capitan without any ropes or harnesses seemed like a bridge too far, even Honnold admitted it at times, yet here we are, and even though Alex makes climbing look so easy; my sweaty palms couldn’t help but clench the armrests as Honnold navigated the treacherously massive yet beautiful El Cap. Free Solo documents the first ever successful climb of El Capitan without the use of ropes or harnesses. As I was watching Free Solo, another movie I saw this year came to mind: Mission: Impossible - Fallout. Tom Cruise is known for doing all of his own stunts and the film benefits from the tangible and digitally un-altered nature of the set-pieces. While impressive, the stunts in M:I-F can’t hold a candle to what I witnessed in Free Solo. Alex Honnold, as much as he likes to deny it, is putting his life on the line, and even though we all know he’s alive and well, watching his final ascent of El Cap, one where any false move results in him plummeting thousands of feet to an almost certain death, is to this date the single most viscerally thrilling feat I’ve ever witnessed. Jimmy Chin and co. also do an excellent job of building up to the final ascent. 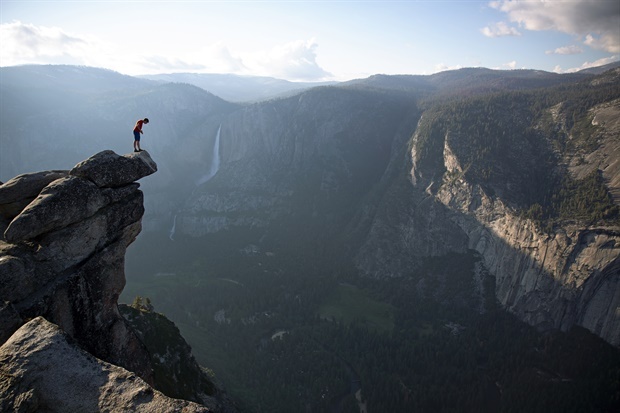 We get to know a bit about what makes Alex Honnold tick. To me, he’s still a super-human who never developed the part of his brain that creates the feeling of fear, but after the film was over I better understood why he was doing what he was doing. Jimmy Chin also expertly lays out exactly what makes free-soloing El Capitan such a monumental, and seemingly impossible feat. I feel like I know the wall now and the various sections of said wall that are difficult, and the maneuvers needed to traverse them. One of the best set-ups for a tense moment later on in the documentary is when they lay out the “boulder problem”, that looks to be about two-thirds of the way up the cliff-face. There are two options for Honnold, who is already in a very exposed position. 1 - Jump to a hold, which is a good hold, but for a split second he’s not touching the wall at all, or 2 - Karate kick out and make some very precarious movements on the smallest of hand-holds. They practice with ropes, and Chin shows them having difficulty with it, and in my head all I can think is: “Is he really going to do this portion without those ropes?”. Of course he does. Cue involuntary sweating and only being able to watch through the thin slivers between my fingers. It’s not often that you get to see what could be the pinnacle of one man’s life on screen. There’s a lesson for all of us to learn in Free Solo and it doesn’t mean we all have to go and climb El Cap, but the film teaches us that no goal is un-attainable, and it does so by letting us be an audience to something truly awe-inspiring. See this movie.